David devotes his practice to commercial civil litigation in both bankruptcy and non-bankruptcy proceedings, as well as business litigation involving contract, fraud, and real estate disputes. Now well into his second decade as a litigation attorney, David devotes his practice to commercial civil litigation in both bankruptcy and non-bankruptcy proceedings, as well as business litigation involving contract, fraud, and real estate disputes. He also draws on his previous law firm experience as a former defense attorney for insurers and large companies, and now represents regional banks, closely held companies, medical facilities, construction contractors and developers in resolving disputes and obtaining payment for their services. He enjoys finding creative solutions to complex legal situations and recovering funds for clients who have been defrauded. David graduated from Swarthmore College with a degree in Economics and attended the William & Mary School of Law on an academic scholarship, where he was an editor of the Law Review. Following law school, David served as a law clerk at the Supreme Court of Virginia’s Department of Legal Research, advising trial court judges throughout Virginia. David has since litigated hundreds of cases and tried numerous cases to judges, administrative bodies and juries throughout Virginia. 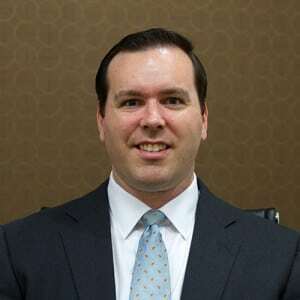 David is admitted to practice in all state courts in Virginia and various federal courts in Virginia, and is a member of the Virginia State Bar, the Richmond Bar Association and the Virginia Trial Lawyers Association.